The 2016 calendar year is likely the worst we have ever seen due to famous deaths, infamous political events, and national crises polluting our horizons, but the year may have ended with a celebration with the overthrow of a national leader whose ways grayed faster than his facial hair did. Close. It is Jeff Fisher. To be fair, Fisher never imprisoned fellow natives for disagreeing with him after promising that he would be different than the previous leader. But the overhyped, gin-belly of bluster decided to show leadership giving us the impression that he always needed more time and the doggy ate his homework. He also tried to show us his “middle school offense” by “just [giving] it to Todd [Gurley]” and what improvements he made in the passing game by throwing Sam Bradford, Nick Foles, and Frank Cignetti under the bus. Finally, he decided to allegedly end his coaching career with a bang by setting up his offense to give the ball away to the Atlanta Falcons for three touchdowns and the defense to do a similar thing to Matt Ryan without Julio Jones and Mohamed Sanu playing. And they say defensive football is his specialty? What is not a specialty of the Rams, however, is stability as they have gone fourteen years without a winning record, thirteen years without making the playoffs, and eleven years without an 8-8 record. You know, the Fisher way of doing things? One man that was once 8-8 as a West Coast coach, New England Patriots offensive coordinator Josh McDaniels, is speculated to be considered for this job and is thought of as a good choice for a place that is perceived to be a land of opportunity. But with a terrible offensive line, a defense that allows the third-most big runs (rushes of 20 yards or more); a running back (Gurley) that has declined like past Rams backs (Zac Stacy and Tre Mason), and a quarterback (Jared Goff) that looks more inept than unready, there is no opportunity. Especially as the options for winning have vanished. This past spring, the Rams gave up first-round picks (2016 and 2017), two second-round picks (2016), and third-round picks (2016 and 2017). 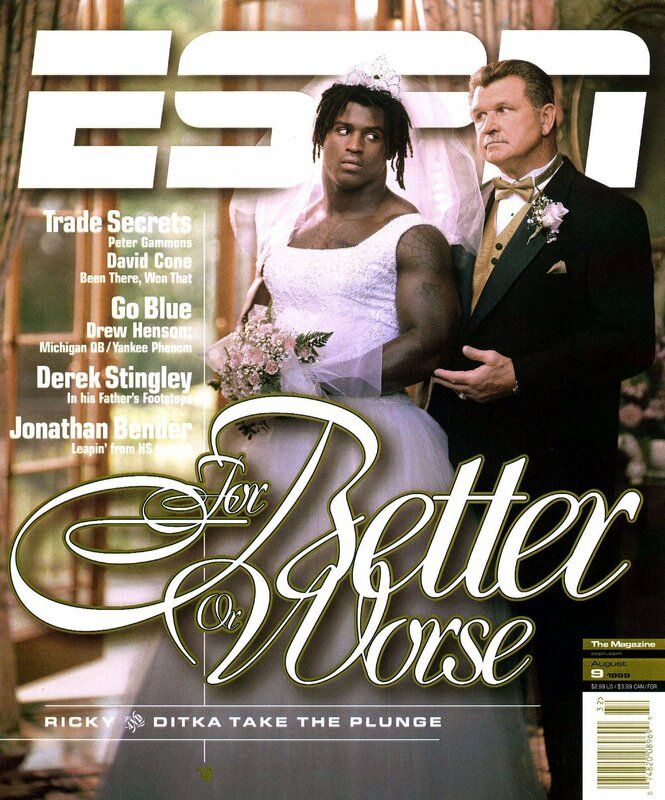 The last time I checked, a dearth of draft picks made the Oakland Raiders go 11-37 from 2012 to 2014, Washington Redskins end up 7-25 from 2013 to 2014, and Mike Ditka finish 3-13 with Ricky Williams in a wedding dress. Why would McDaniels ever want this job? In fact, why should the Rams hire McDaniels when they have employed him before? In 2011, the proclaimed 40-year old genius ran the Rams offense in St. Louis where Sam Bradford was expected to lift the team up and guide it to the playoffs in what was once known as a weak NFC West, and like the genius of McDaniels faded were the Rams’ hopes that season. They finished 2-14, and when your offensive genius is supposed to take advantage of Steven Jackson’s running ability and transform a quarterback the way he did with Matt Cassel, being near the bottom in significant offensive categories is not acceptable. Frankly, if you are the Rams while erasing a 1-15 or 2-14 season of a resume, you might as well re-hire Steve Spagnuolo. He was a last-place coordinator after losing his first head coaching job and works for a reputable organization. Maybe he can do the trick if McDaniels declines to take the job. Sure, the McDaniels’ 2011 season was affected by the lockout and a high number of injuries, and Jimmy Garropolo and Jacoby Brissett have performed well for him in 2016. But having someone off the Bill Belichick coaching tree is dangerous enough when he may be the greatest coach of all time and a once-in-a-lifetime quarterback like Tom Brady highly contributed to making men like Charlie Weis and Bill O’Brien major college coaches. Let us not forget, Brady’s plays helped New England be a winning team and thus bolster the resumes of Romeo Crennel and Eric Mangini, and even with second go-arounds, the latter two men’s careers did not exactly pan out well. But when you look at Belichick coaching tree and see who would get hired first, based on the Rams administrative history, McDaniels, Mangini, O’Brien, and even defensive coordinator Matt Patricia would be ahead while Crennel would barely get a sniff of the team. In past columns for SportsRants.com, I, likely, have been the only media personality to point out that the Rams have the NFL’s longest span of never making a minority head coach or general manager hire. This period that has lasted 80 years too long, and with a change being needed since at least 2014, now is the time to speak up when nothing positive is being done. When you look at the Rams organization and see how it operates, and it almost acts more like a hospital that designates the men to be doctors and the women just to be nurses. The owner, president, general manager, and head coaches (full-time and interim) are white while 81 percent of the roster is black. What is most insulting is Fisher not only received a two-year contract extension for doing a such a lousy job but makes somewhere between 35 to 49 percent more than the average minority head coach. Based on available salary data via OtherLeague and Boyd’s Bets, the average minority coach makes between $4.7 million to $5.2 million, and if Hue Jackson’s salary had been made available to any of these or other sites, the disparity would widen even more. Currently, Mike Tomlin of the Pittsburgh Steelers has two Super Bowl appearances, one championship, and no excuses for his team when the quarterback is out. He makes as much as Fisher does, even though his resume is exceptionally better. Can someone call this a crime in the name of diversity, let alone common sense? Let us not forget that Detroit Lions head coach Jim Caldwell is one step away from making multiple playoff appearances with his second team in another city. If Fisher could not do zilch in comparison, with two teams in five cities (Houston, Memphis, Nashville, St. Louis, and Los Angeles), would it not be more fitting if Fisher gave up a quarter or half of his salary to Caldwell? Now, do not get me wrong. I am a person that believes that merit must matter over minority status. But when Stan Kroenke legally owns a team, history shows that he only thinks that people who fit his culture are worthy of lead administrative positions. Back in September 2016, I wrote about how Kroenke has only made minorities interim head coaches with the Denver Nuggets, which prevented them from earning full-time head coaching salaries, and likely used one of them (Mike Evans) as a diversity pawn to make up for a racist incident that involved the team. If you think I am racist for making such a comment, you are wrong. I am a recycler. I just took stuff from my past and passed it off as something new, like Kroenke did when he used Michael Sam as a pro-gayness pawn the same way he used Evans with race. For the record, he does not legally own the Denver Nuggets or Colorado Avalanche and would be punished by the NFL for violating rules that prohibit him to operate teams outside of the league. Regardless, with the past employment circumstances likely being valid or realistic, it is becoming exceedingly evident that relatability is the highest determinant for him to hire a coach or a general manager. Well, maybe that is what you tend to do when you elect to be an absentee owner and have someone else to run the team for you. I know I would not want a stranger to run something I own without my knowledge. I might as well get someone who is just like me. My team, like the Rams, could go unsupervised for so long that I risk the chance of internal chaos. But someone will make my millions for me and what better way than to hire my tee-time drinking buddy who loses when I cheat at golf. If Kroenke wants to win for a change, maybe he should make decisions that fit his personnel. With his roster being predominantly African-American, he should get someone whom they will put their heart on the line for. Usually, it is a man that relates to or understands players and paid his dues to get ahead. More times than not, the minority is that person, and there is no better way to say “change” and “we’re moving in the right direction” than a hire like that. Assuming that he does not, he should just supervise his team like every business owner. When no one cannot name a team that has won a Super Bowl with its owner not present when the Robert Krafts and Rooneys do, and Al Davis was the only NFL owner to win a Super Bowl with a team in Los Angeles, he will never win anything in the NFL. Sadly, old people never change, and until Kroenke stops inadvertently enabling his drinking business buddies that have no business being left unsupervised or employed, he will leave this earth a loser and finish last in wins and administrative diversity in comparison to a former exiled L.A. owner, Donald Sterling.